This phone stand is called Magic for a reason: it makes your phone look like it’s levitating. It doesn’t actually make your phone float in mid-air, but it does look pretty neat, having your phone held in place that way. The Magic Phone Stand is more than what its name indicates it is, though, because it’s also a charging cable. You might be wondering how that stiff ol’ stand could also be a cable, but, well, New Jersey-based Martinka Magic figured it out and came up with this. The stand was successfully funded on Kickstarter a few days ago, but don’t fret: you’ll be able to order the unique stand-slash-cable soon on its maker’s website. Nothing’s more of a hassle than having to pack up a whole bunch of accessories for your phone, tablet, camera, and all the other gadgets you’re bring on your trip or out-of-office assignment. Most of the time, what you need is a stand and a tripod for various media functions, like recording and streaming. There are a number of stands-slash-tripods that are compatible with a range of devices, but few are probably as compact and versatile as the WalletM8. It’s a tripod and stand not only for most of your mobile gadgets, but also for your files and documents for when you want to view them upright. 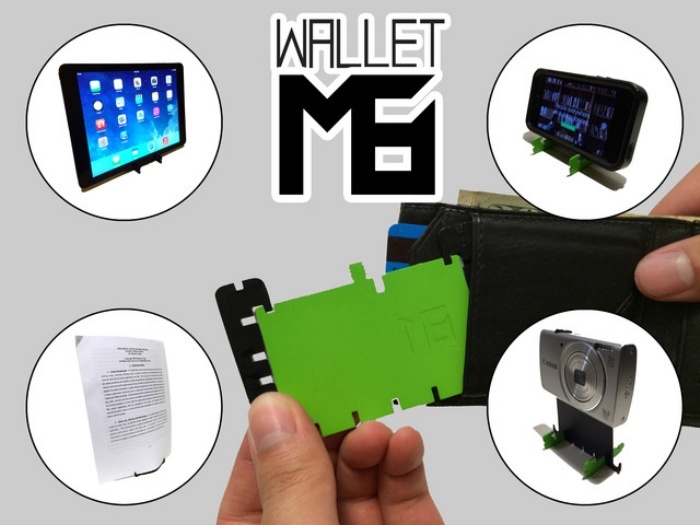 What makes it awesome is the fact that it’s the size of a credit card and is only 2 millimeters thick! VGA Connector Stand: So That’s Where It Went! By Hazel Chua on 03/07/14 • Leave a comment! What’s hot one moment can quickly go obsolete in the next. The VGA connector has been a staple in terms of connectors, but someone could come up with an alternative any moment now to replace it. Before it completely disappears (and goes out of style? 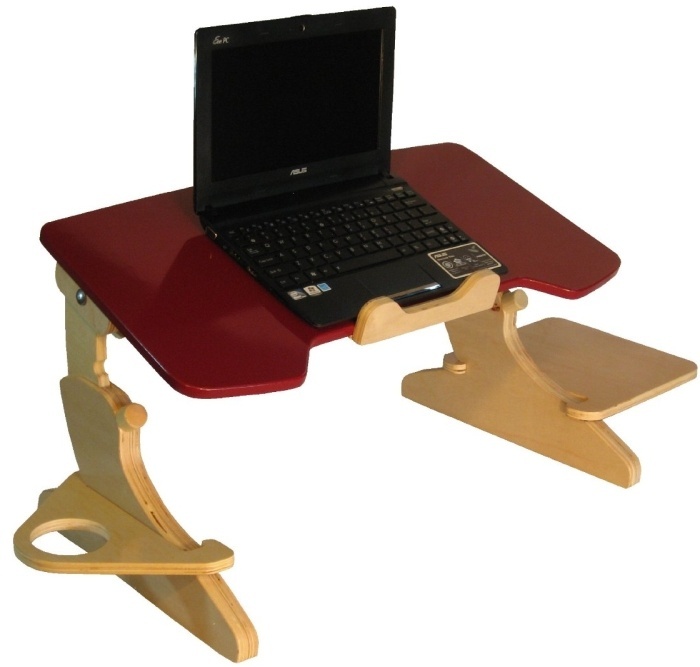 ), the enterprising folks at Meninos decided to hollow it out and transform it into a stand for your smartphone. A suction cup is attached on one end to hold your phone in place, while the rubber stand is shaped with a flat bottom so that it can rest steadily on any flat surface. 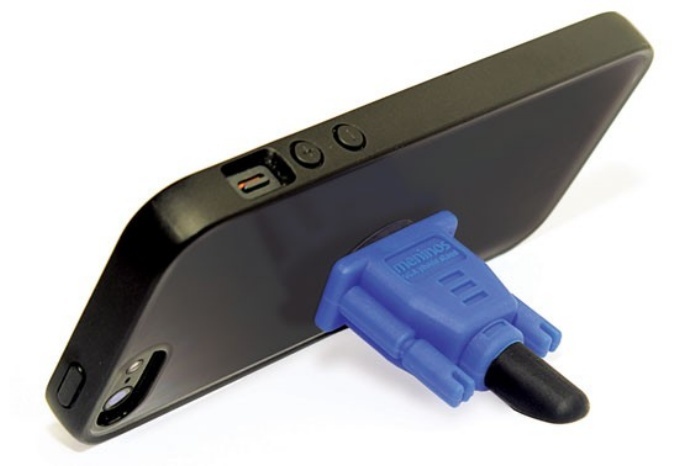 The VGA Phone Stand is available for $8.90. This is probably the coolest smartphone charger that we’ve seen in a long time. Built from lightweight materials, the Coi+ Power Brick comes packed with a 4,200 mAh battery pack and four official LEGO bricks that can be attached onto it to transform it into a stand for your device. 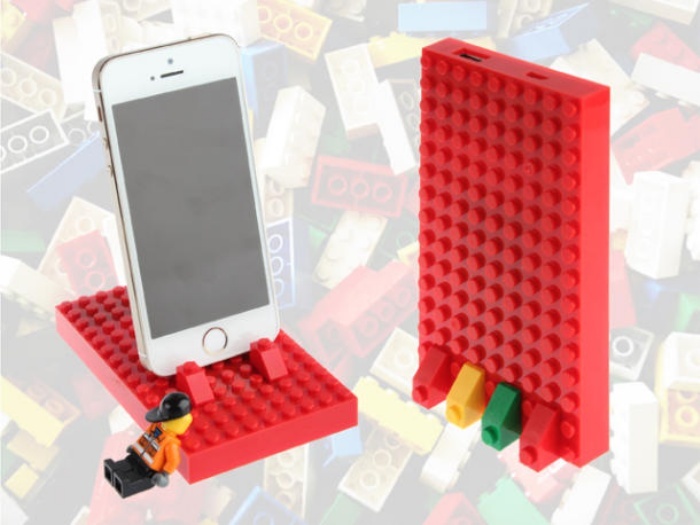 The entire thing is compatible and connectable with minifigs and the other bricks that you have in your LEGO stash. Put a LEGO Mario on your Power Brick or customize it with your initials using LEGO bricks. The possibilities are endless–as long as you’ve got the bricks for them, that is. By Hammad Saleem on 12/20/13 • Leave a comment! 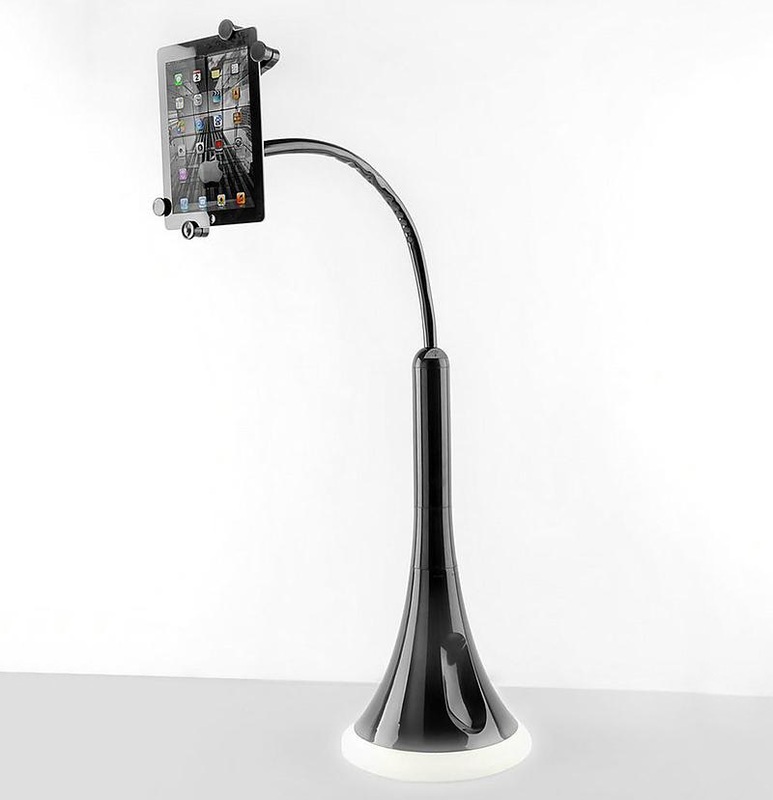 This creative iPad Charging Floor Stand will make sure you don’t have to hold your tablet, and still get it in a position where you can comfortably use the tablet, especially when you are in bed reading, following recipes in the kitchen, or for any other reason. Interestingly, it’s not just the iPad, the charging stand supports any tablet between 7-10 inches. All you need to do is place the tablet in the tension brackets holder, adjust the mounting arm to a comfortable position and you’re good to go. 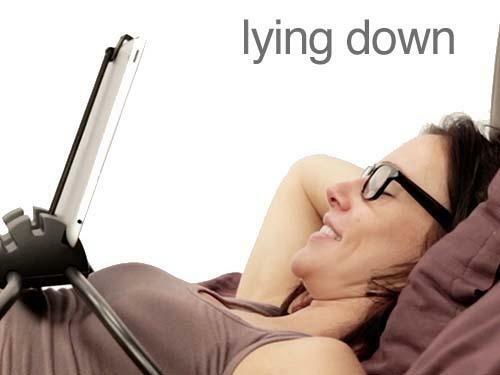 The stand does not only hold your iPad, it keeps it charged as well. There’s a USB port at the base of the stand, which can charge your tablet with the device’s power cable. Do note that you have to use your owner charging cable as it doesn’t come with the stand. If this is something you want, you have to shell out $99.95 for this iPad Charging Floor Stand. Ever wished that you could lie in bed and work with your back propped up on your pillows when you don’t feel like getting up and walking over to your desk? Well, I have, and I would usually just lug my laptop to my bed and start working. Unfortunately, it’s a lot more taxing on my back than I’d like, since I have to hunch over my keyboard whenever I lean in to type. Let’s face it, when you’re charging your iPhone, you usually just plug it in and flop it down on a table somewhere. But there are those who are inordinately proud of their Jeevus phones, and wish to take any opportunity to put them on display. 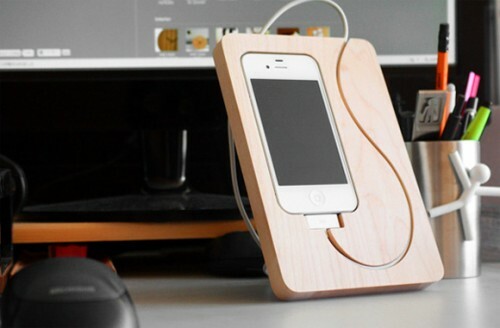 Made of maple or walnut wood, the BaseStation for iPhone 4 has recessed spaces that will fit the phone, its connector and some length of cable for all to see. It serves no practical purpose of course. It just looks sort of neat. It’s $52 and can be custom engraved. Hit the jump for a couple more pictures and links.